One does not simply drive through New Zealand without stopping every hour to stare at stunning landscape. Our country is so diverse that there are no two pictures alike. 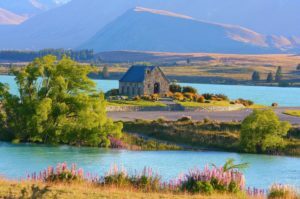 From mirror lakes to unreal fiords, your mind will be blown away by the show that New Zealand has in store for you. Not all scenery comes with a price tag. Take a hike through luxuriant rainforest, tussock plains or rugged mountains, you may find the unexpected at the end of the track. The stunning National park features golden sand beaches, turquoise waters and luxuriant rainforest. 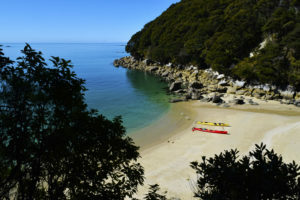 Exploring its coastline by kayak is a must. Take a water taxi to the bay and get your kayak from there so you are left with only the good part to kayak. The huge volcano hides many secrets. 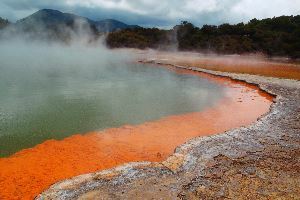 For one, it is the location of Mordor, so a must see for any Lord of the Rings fan. It also hides a beautiful lake at the top, Emerald Lake, that begs to be photographed. The one-day hike is one way only, so although the hike is free, you will have to book a shuttle back to your car or hostel. Probably the most photographed lake in the country, the milky blue lake is almost unbelievable. Plan your visit in November-December to see the lake surrounded by colourful coned shaped purple flowers called lupins. Flying from tree to tree is a kid’s dream. 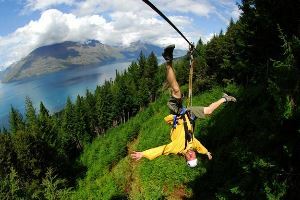 Many places in New Zealand offers eco-focused zip tours through its many forests. Often considered as the easiest adrenalin activity of the country, it also offers amazing views of the surrounding landscapes. This tour is epic! 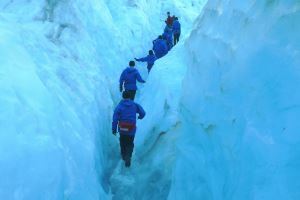 It includes two helicopter rides to and from the top of impressive glaciers and an ice climbing tour inside a sleeping giant. All crampons, clothes and ice picks are provided so be ready for an afternoon like no other. The sound has been described with at least every adjective possible. Most travel guides agree on the fact that this is possibly the “8th wonder of the world”. The 2h cruise will take you through the sound, to the seal colony and possible dolphin pod, and under the huge Stirling Falls. Yes, under! 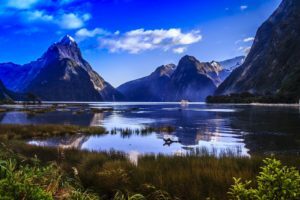 If you take a bus tour to Milford Sound, it will generally include the cruise. With 144 islands and many sedentary dolphin pods, the Bay of Islands is a paradise for any sailor. 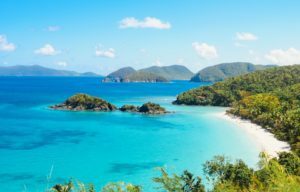 Most day cruise will include lunch and stops in one or two islands. Isolated in the small Stewart Island, the 3-day track is your best chance to see kiwi birds in the wild. 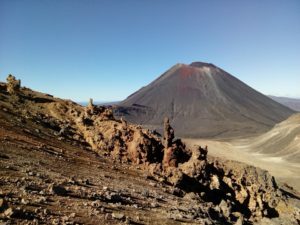 Hiking the track is free but you will have to stay two nights in campsite or a Department of Conservation hut along the way – this is what we included in the price. 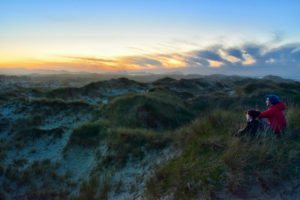 If there is an activity that you can truly do all over New Zealand, this is it. 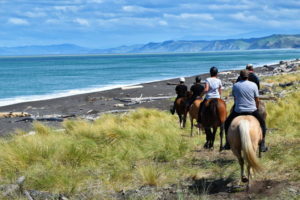 Horse trek on the beach, on a cliff, in the forest, in the mountain, around a lake, and much more. Kiwi are fond of horses and horse shows!